Imagine you are filling out a form or application online or via an app. You need a copy, so you have a record of what you wrote. But the site/app doesn’t offer a way for you to save the form or send it to your inbox. What can you do? Or for times when your iDevice is just plain buggy, and you need screenshots to prove to the genius bar (and your friends) that yes, this really did happen. For all these reasons (and more), we find capturing screenshots is an excellent option to save that moment in time and all the information that moment holds. 1 Using Just One Hand? 3.1 Save Need Screenshot Alternatives? 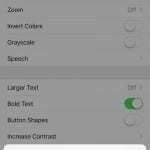 3.2 Want to Get Rid of the AssistiveTouch On-Screen Button? 5 AssistiveTouch has a lot of Options! 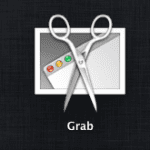 How To Use macOS Or OS X Grab Utility To Take Awesome Screenshots! 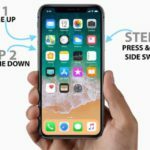 Maybe you only have one hand free to take a screenshot, or you simply want a one-tap method to capture screenshots, the good news is Apple is there to help. Using the AssistiveTouch function allows a one-handed opportunity! We will take advantage of AssistiveTouch to give us access to quick and easy screenshots on all our iDevices. First, you will need to perform a one-time set-up so that you can use this function on demand. 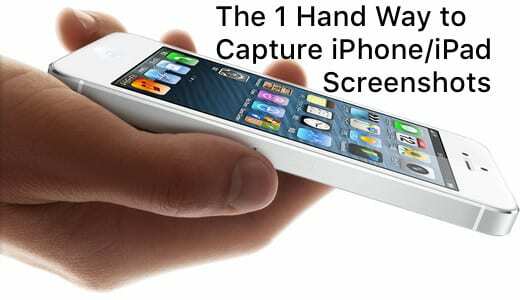 Now you are all set-up to take as many screenshots as you desire with just one hand. 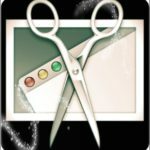 Want to Get Rid of the AssistiveTouch On-Screen Button? 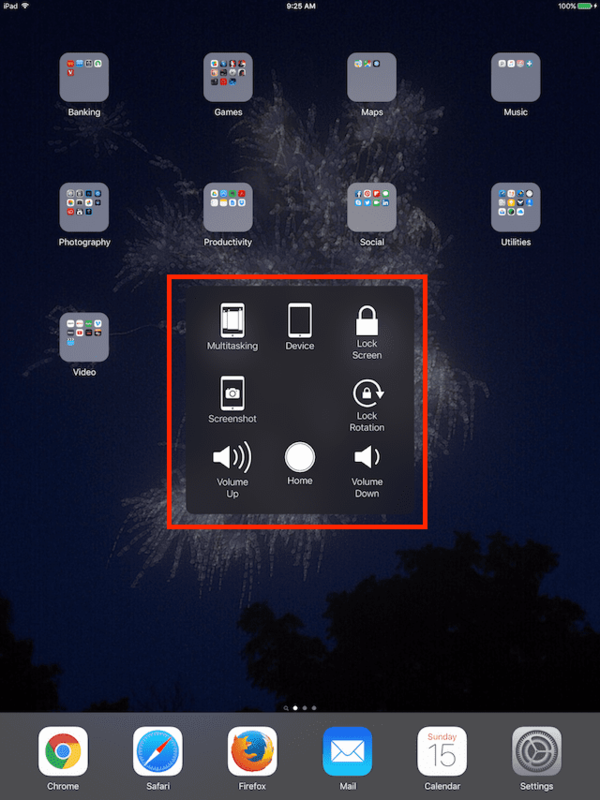 If you find that the Assistive Touch icon takes up too much room on your screen or if it merely annoys you after awhile, you have a couple of options. The simplest option is to toggle AssistiveTouch off through the Accessibility Menu (General > Accessibility > AssistiveTouch > Off.) This results in it being permanently off your screen until you turn it back on. 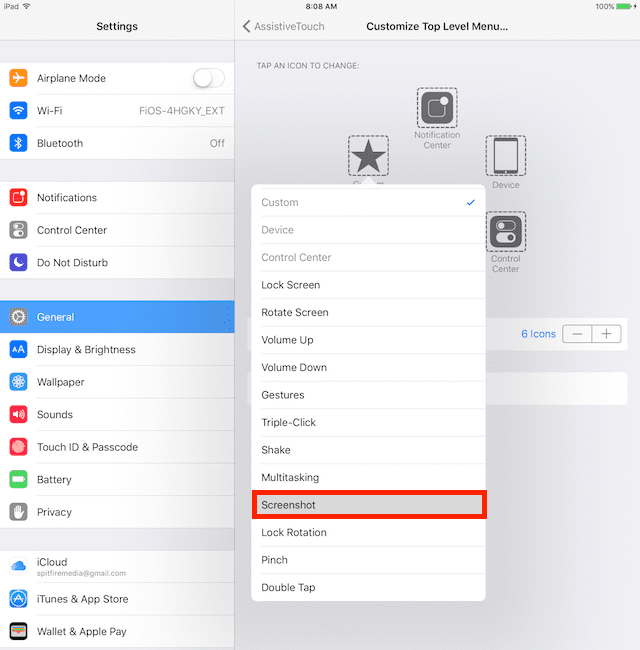 Another option is to set AssistiveTouch as a toggle so you can turn it on or off at will by using the Triple-Click Home Button or Triple-Click the Side Button option for your Accessibility Shortcut. AssistiveTouch has a lot of Options! 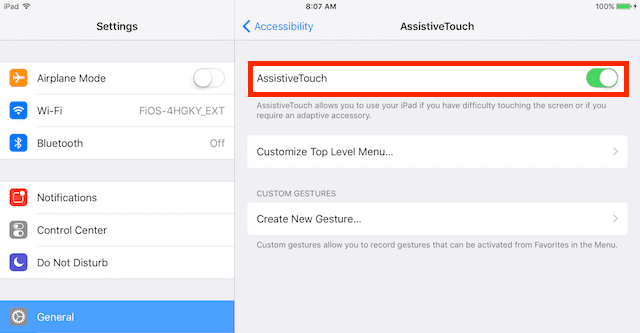 AssistiveTouch also provides one-step access to a bunch of other functions (including HOME, SIRI, CONTROL CENTER, and VOLUME buttons among many others). The Assistive Touch feature allows you to access up to 8 of these functions via that on-screen icon. For users with broken hardware such as volume or home button not working, AssistiveTouch is a phone-saver, allowing these users to take advantage of many iPhone/iPad features they lost when their hardware broke. These include functions like volume up/down, lock screen, lock rotation, and of course the home button. For all of us iFolks with intact or broken hardware, we get to pick and choose which functions work best for us. Or we can just assign it one function (like Screenshot). This is all about customization, making our iDevice work best for us whatever our circumstances. 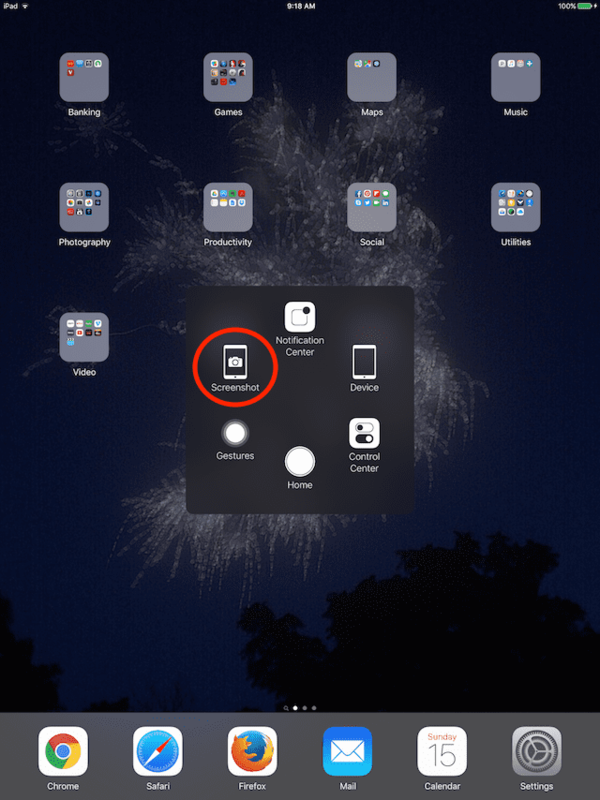 At AppleToolBox, we love taking screenshots so using AssistiveTouch for capturing our iDevice screens is mighty handy. 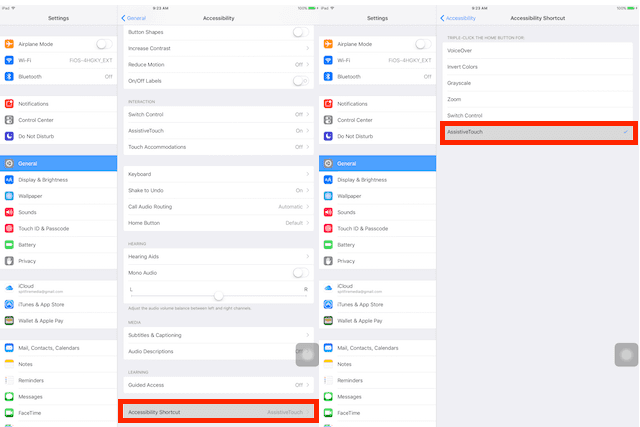 Using AssistiveTouch is an easy way to capture your iPhone/iPad’s screen and having the option to toggle it on/off maximizes screen space when needed. There are always times when capturing our iPhone/iPad’s screen will save the day and that precious thing called INFORMATION. 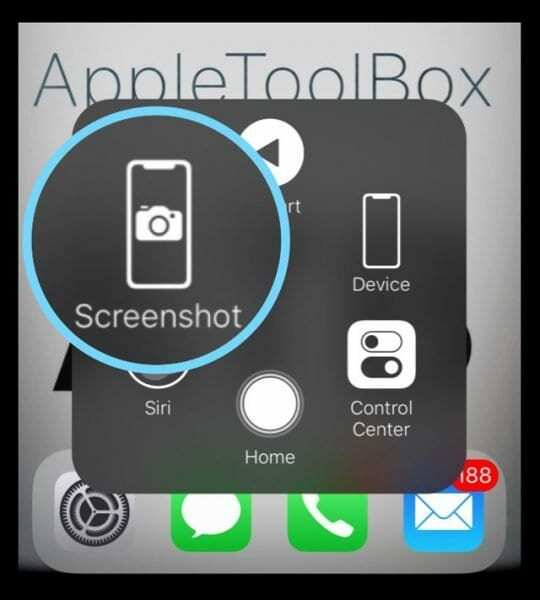 That’s why we at Apple ToolBox think screenshots are totally awesome. And luckily, it’s pretty darn easy to get a screenshot from your iDevice. 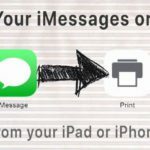 In fact, it’s darn easy to get a screenshot from any device—iPhones, iPads, iMacs and even Androids and Windows. Screenshots are an excellent way for cross-platform communication. So let’s give this feature a try! 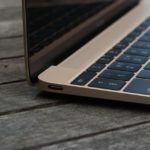 Final thoughts: If you found this article helpful, please share it with your iFolk friends and let us know if you have any comments or suggestions. 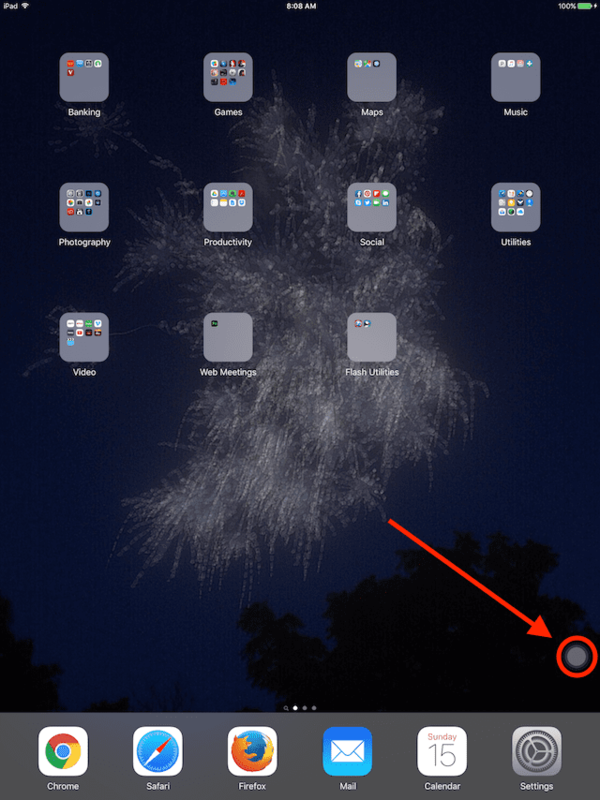 I just setup the Accessibility Assist with my iPhone as well as iPad. I have CMT (Charcot Marie Tooth) and this is very helpful for me with my coordination issues! (Press the Home key and Power key at the same time? Really??) Finding and setting this up was like a free upgrade to my devices. Thank you thank you thank you! Having accidentally broken my arm left me effectively one-handed so I began using dictation/speech2text in iOS 10. But in public I don’t always like to be letting those around me on the bus, the sidewalk, the library know what I’m doing. So this simple intro to Assistive Touch is perfect!! Next I’ll see if I can use my camera similarly – where the shutter button can no longer be just the Home button, which is often inaccessible with one hand! Never been here to Apple Toolbox before! Great stuff, clearly presented! Thanks for the feedback. Sorry about your arm, but glad that assistive touch is helping out! I love the assistive touch for schrdenshots & more. I’ve been an iPhone junkie since the 3. Admittedly, I’ve only been using it for a couple of months; I don’t know how I lived without it. I have tiny hands & lead a busy life, A.T. Helps a lot. Question: when taking a screenshot it used to stay on the screen for me to edit/send etc. Suddenly, it’s going straight to the camera folder. I loved being able to instantly work with it. Sometimes I want to edit, send & not save. Please help me fix this! Hi Leisa, Thanks for stopping by. We love the AT feature on the iPhone as well. What iOS version is your iPhone on? Without the AT enabled on iOS 11,we are able to tap and edit/send etc before it goes to the camera roll.